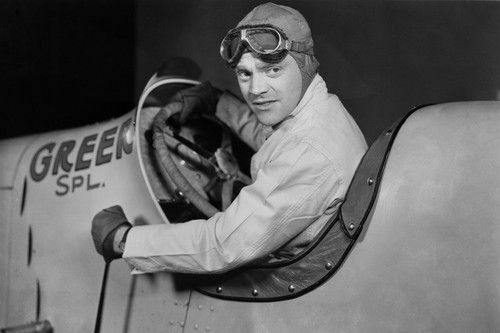 Plot: Joe Greer (Cagney) is a championship racecar driver with a love interest determined to marry him as much as see him safely finish each race. Dvorak plays Lee Merrick, Joe’s live-in girlfriend, who is so devoted she is willing to give up everything to make her man happy. Fresh off an Indianapolis 500 championship, Joe returns to his home town for some exhibition racing, sending Ann back home. Joe’s dad (Kibbee) owns the local car repair garage & Joe’s younger brother Eddie(Linden) is an aspiring racer on the local circuit. Joe’s racing teammate Spud Connors (Frank McHugh) agrees to help Eddie fix his car so he can race in the exhibition against Joe. At the race, Eddie does so well that Joe offers him a spot on his team and the brothers hit the road, winning races as they make their way back to Los Angeles where Lee is waiting. Joe’s effort to shield his naive brother from his living arrangement imperils his relationship with Lee. When Joe finally chooses his brother over Lee he dumps her, ignoring her pleading, and walks away. 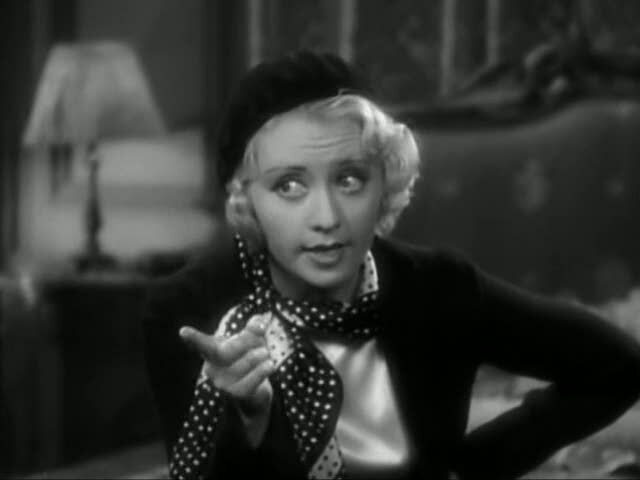 Lee’s brassy friend Anne (Blondell) agrees to distract Eddie, creating distance between the two brothers, but falls in love with him instead. With Eddie set to marry Anne, Joe becomes incensed, gets drunk and causes a racing accident that kills Spud. Spiraling into drunkenness and abject poverty, Joe sinks deeper and deeper, not even able to compete in county fair races, cut off from everyone he loves. Eddie, on the other hand is happily married and winning races on the big circuit, even securing a prized offer to race a Duesenberg at the Indy 500. Sensing that Joe will find his way to Indy Lee borrows train fair and takes a job sling hash at the racetrack diner. When Joe does attempt to get a car to race in Indy he is shunned by all the teams and, down on his luck, bums a meal at the very diner where Lee works. She immediately vows to save Joe and takes him to her apartment where he breaks down. Eddie races in the Indy 500 and is leading until tire treads tear up his arm, forcing him to pit and likely lose the race. Joe jumps into the car with Eddie and together they storm back and win the race, blowing out a tire on the last lap and crashing just after crossing the finish line. While both brothers are only slightly injured, they are taken to a hospital, where, en route they race against their main competitors, friends again, as the credits roll. Thoughts: To discuss The Crowd Roars is to do so in the context of it being a Howard Hawks film, starring James Cagney. Warner wanted to soften the gangster image of Cagney and Hawks had just finished filming Scarface. Together, their talents combined to lift a straight ahead story of brotherly competition into something far more enjoyable. The racing scenes that Hawks shot at Indy & the Ascot Motor Speedway are riveting; even the rear screen projection is infused with suspense and emotion. In fact, the scene of Spud catching on fire was so lifelike that it sent some patrons racing for the doorways in horror. Similarly, Cagney jazzed up the dialogue scenes, by adding improvised improvements, as well his always captivating mannerisms, tics and stage business. 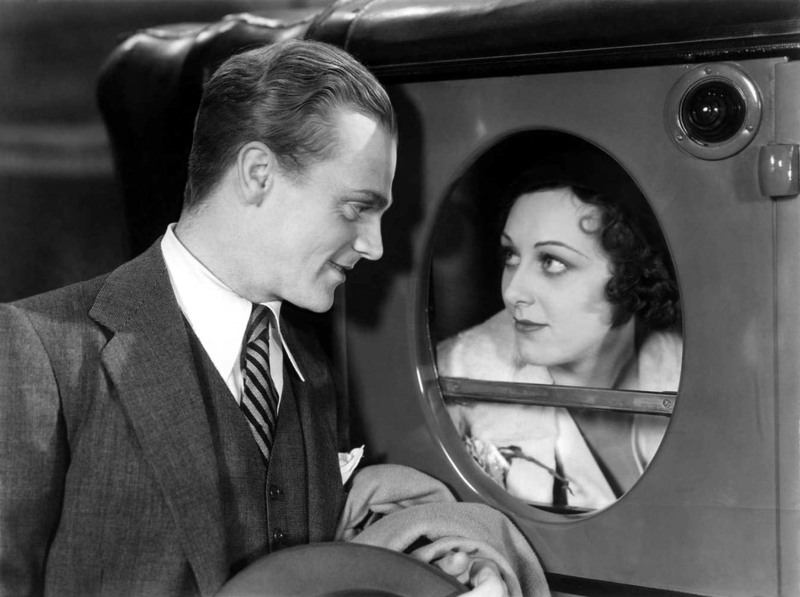 His interaction with Blondell, in the 5th of their 7 films together*, elevates the dialogue scenes because she is the rare actress who can hold her own with Cagney. Even though they aren’t romantically coupled here, as in Blonde Crazy, their argument about Eddie crackles. His demeaning entrance to the scene “since when do dames like you expect guys to knock” attempts to set a dominant tone, but Anne/Blondell largely ignores it. They are always equals at the end of things because Blondell has just as much charm and chutzpah as Cagney, which is no small feat. What is really at the soul of the movie is the relationship between the brothers and unfortunately, unlike Blondell, Linden cannot hold up his end of the bargain. He is milquetoast and bland and opens up the question of why a dame like Anne would fall for him. Hawks commonly liked to create a bond between men that is challenged or broken by the intrusion/inclusion of a woman (Only Angels Have Wings, His Girl Friday, A Girl in Every Port) and it is no different here. Both Ann’s physical presence with Joe and her devious planning with Ann, create the gulf between the brothers that nearly destroys them both. Fortunately, they have the bond of racing to pull them back together. In fact, in the climactic race they literally become one person, Joe on the steering wheel and Eddie on the gas, as they push towards victory. The Crowd Roars is a solid movie, with flourishes that tease that it could have been something more. I always enjoy Blondell & Cagney, specifically when they’re together. As is typical of the versatile Hawks, the visuals are solid and the pace is strong. For those who like to argue for autuers in American film, Hawks is a testament to the factory director always putting his mark on the individual film. -Dorthy Mackaill (Safe in Hell) was originally cast to play Lee, but Hawks didn’t like her in the roll, so he brought on Blondell to play Lee opposite Dvorak. Once Dvorak & Blondell realized their parts were wrong, they switched, without even informing the studio. -Darryl F. Zanuck, the head of Warner Bros. Production discovered Cagney & Blondell on Broadway in Penny Serenade, brought them to Hollywood, changinghte play's name to Sinner's Holiday. -The Crowd Roars was loosely based on the play The Barker, set in the carnival milieu. Hawks like the story, but changed it to auto racing, which he was more comfortable with. He took a story credit on film just the same. -Ann Dvorak had just finished playing Cesca in Scarface for Hawks, the film that launched her to fame. -Although Hawks finished principal photography nearly a year earlier on Scarface, it premiered just 2 weeks prior to The Crowd Roars, due largely to censorship trouble. (3/31/32 in New Orleans).